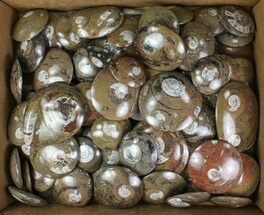 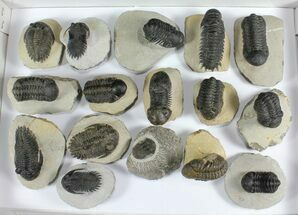 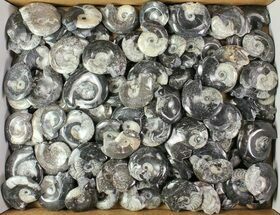 This is a wholesale lot of approximately 90, polished, goniatite fossils. 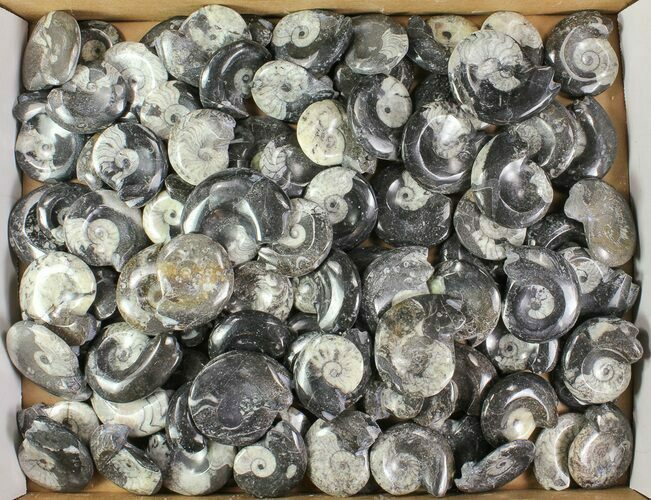 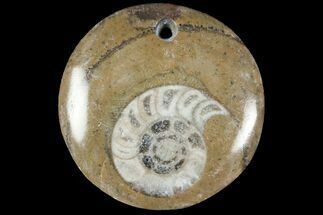 These Goniatites are Devonian in age and are quarried from the Atlas Mountains in Morocco. 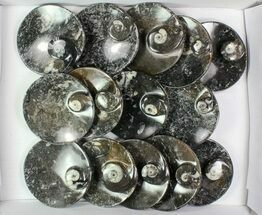 They range from 2 to 3" wide and vary in quality. 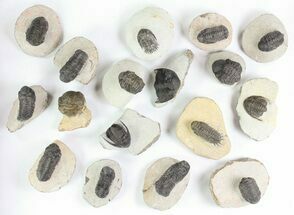 You will get the exact lot pictured.